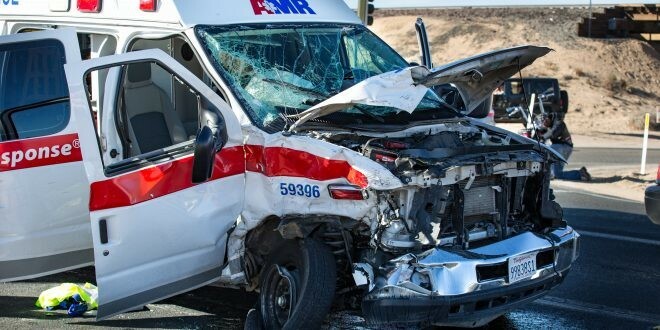 An AMR ambulance in Victorville, California was allegedly struck head on by a speeding Chevy Tahoe while in route to an emergency yesterday afternoon. The accident occurred while the ambulance was going through an intersection with its sirens and lights both engaged. The driver of the Tahoe allegedly was unable to stop and struck the ambulance, the estimated speed at impact was 50 MPH. The driver then allegedly took off on foot immediately after the crash. The EMT’s who were inside the ambulance are members of IAEP Local R12-152. Our prayers go out to the victims and their families. We will keep you updated on this matter should any information become available.